Mark returns to the weekly Tuesday reviews-at-SFFWorld post, joining me in his usual spot. You folks know the drill by now, I give a bit about each book, insert the cover image and link to the review. After the set up of Book One, things here start to move into new positions. The Apostate is revealed (if it wasn’t already known) as a major character from Book One. Captain Marcus Wester is now at work in his new job, working with his friend Yardem Hane for Magistra Cithrin bel Sarcour and the Medean Bank in Porte Oliva. Cithrin herself is struggling with the restrictions she agreed to in order to keep her position in the Bank in Book One, now working under Pyk Usterhall, a stern notary from the Bank to ensure her transactions are in the traditions of the Medean. Like an expert chess match, key pieces start to move into place this time around. Some of the actions the characters take are interesting and not what might be expected. The characters themselves become much more developed this time around. We learn more of Wester’s and Cithrin’s past, and we start to get more details of the dragons of the past. Geder in particular is, by turns, thoughtful, scholarly and violent as he reluctantly adjusts to his new position. Throughout the book there’s some life-changing decisions made, life-altering consequences and some major betrayals. Once Atticus gets on with his new life, it isn’t long before the Native American trickster deity Coyote comes calling on the favor Atticus owes him for ‘killing’ him. It isn’t anything big for our favorite Druid, he just convince the Colorado earth elemental to make a gold mine for Coyote’s people. Of course more complications ensue over the course of the novel as a pair of skinwalkers, some of the nastier monsters of Coyote’s people. Atticus came to the attention of these skinwalkers thanks to Hel, the Norse god of the underworld and Loki’s offspring. Clearly, Atticus and company have their hands quite full. While I breezed through the first three installments of The Iron Druid Chronicles, I felt the pacing was not as well balanced here in Tricked. There’s almost…just almost a sense that Hearne was trying to cover too many plot points in the novel. On the other hand, for a 350 page novel, the fact that he packed so much into so few pages was pretty impressive. Tricked might even serve as a decent entry point for new readers since Atticus and his crew are indeed starting over after their ‘deaths.’ I get a sense that Hearne has big things in plan for Atticus and Tricked might just be an intake of breath compared to what is facing our Druid power trio down the road. Only a few books arrived this previous week at the ‘o Stuff, but since it is Sunday, I tell you about them.. The Wanderers by Paula Brandon (Spectra Trade Paperback 07/31/2012) –Sequel / Third in the series to / of the series which began with The Traitor’s Daughter, which has been getting quite a nice buzz. Brandon is something of an open pseudonym for Paula Volsky and this trilogy seems to have no name. Paula Brandon’s acclaimed fantasy trilogy comes to a triumphant conclusion in an unforgettable collision of magic, intrigue, and romance. Time is running out. Falaste Rione is imprisoned, sentenced to death. And even though the magical balance of the Source is slipping and the fabric of reality itself has begun to tear, Jianna Belandor can think only of freeing the man she loves. But to do so, she must join a revolution she once despised—and risk reunion with a husband she has ample reason to fear. Meanwhile, undead creatures terrorize the land, slaves of the Overmind—a relentless consciousness determined to bring everything that lives under its sway. All that stands in the way is a motley group of arcanists whose combined powers will barely suffice to restore balance to the Source. But when Jianna’s father, the Magnifico Aureste Belandor, murders one of them, the group begins to fracture under the pressures of suspicion and mutual hatred. Now humanity’s hope rests with an unexpected soul: a misanthropic hermit whose next move may turn the tide and save the world. Nebula Awards Showcase 12 : edited by James Patrick Kelly and John Kessel (Pyr Trade Paperback 05/22/2012) – Nice to see the fine folks at PYR get in on the annual best-of anthology scene with this venerable annual volume. 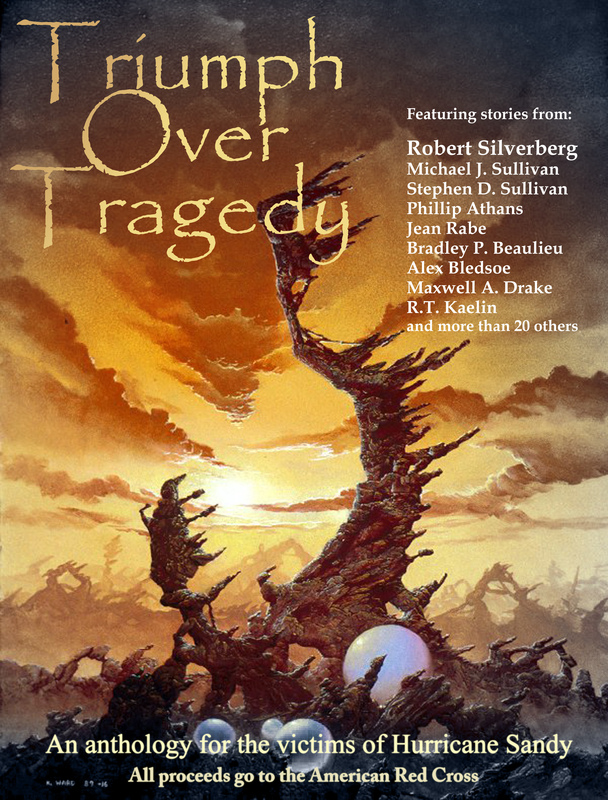 with additional stories and poems by Chris Barzak, Aliette de Bodard, Amal El-Mohtar, Kendall Evans and Samantha Henderson, Howard Hendrix, Geoff Landis, Shweta Narayan, Ann K. Schwader, James Tiptree, Jr., and Adam Troy-Castro and a cover by Solstice Award-winner Michael Whelan. Silvers by Rhiannon Held (Tor, Trade Paperback 06/05/2012) – Debut Urban Fantasy novel, and launch of a yet unnamed series, that promises a new take on Werewolves. Judgment at Proteus (Quadrail #5) by Timothy Zahn (Tor, Hardcover 06/05/2012) – This is the fifth and concluding volume in Zahn’s space opera series Quadrail, which began with Night Train to Rigel. In Timothy Zahn's Judgment at Proteus, the Quadrail that connects the twelve civilizations of our galaxy has been the flashpoint of a battle for dominance fought mostly unnoticed by humankind. But Frank Compton of Earth, aided by the enigmatic woman Bayta, has fought on the front lines, using every bit of his human ingenuity and secret agent skills to outwit the Modhri, a group intelligence that would control the minds of every sentient being it can touch. So, structurally we’ve got our map laid out, the path Grant takes continues to be filled with conspiracy and subterfuge with a little less on the political game inasmuch as the politicians themselves don’t take to the page until the latter portions of the novel. This isn’t to say the game of politics isn’t present, because it very much is and drives the plot of the novel. Much of the politics involves the power play of control between the CDC (Centers for Disease Control) and the EIS (Epidemic Intelligence Service), specifically the information about the Kellis-Amberle virus and the potential for a cure. So, how does Blackout hold up to the promises laid out in its predecessor volumes? From my reading perspective very well, Grant brings more Applied Phlebotinum to the table in the form of the clones and how Shaun’s immunity came to be. If Grant were a lesser writer, these elements could derail the novel, but thankfully, she’s quite brilliant at explaining these things in a plausible fashion which is balanced by the overall powerfully addictive narrative. After a fairly large batch of arrivals last week, it was nice to have a bit of a respite this week, though that doesn’t necessarily infer the quality of what I received this past week is any lesser. King of Thorns (Book Two of The Broken Empire) by Mark Lawrence (Hardcover 08/07/2012 Ace) – I was extremely impressed with the first in this series, Prince of Thorns which I also thought was the best debut published in 2011, so yeah, I’m looking forward to reading this one. The thrilling follow-up to Scholar—in which, after discovering a coup attempt and preventing a bloody civil war, Quaeryt was appointed princeps of Tilbor—begins a new episode in the young Imager's life. Now second only to the governor, and still hiding his powers as an Imager, Quaeryt is enjoying his new position, as well as his marriage to Lord Bhayar’s youngest sister, Vaelora, when a volcanic eruption devastates the old capital of Telaryn. He and his wife are dispatched to Extela, Telaryn’s capitol city, to replace the governor killed in the eruption. Quaeryt and Vaelora must restore order to a city filled with chaos and corruption, and do so quickly. The regiment under his command must soon depart to bolster Telaryn’s border defenses against a neighboring ruler who sees the volcanic devastation as an opportunity for invasion and conquest. The Iron Wyrm Affair (The First of the The Bannon and Clare Affairs) by Lilith Saintcrow (Orbit Books Trade Paperback / eBook 05/22/2012) – Lilith Saintcrow has written two series for Orbit to great success, plus many young adult novels. This is the launch of a steampunk mystery series that would seem to appeal to readers of Mark Hodder’s Adventures of Burton and Swineburne. Emma Bannon, forensic sorceress in the service of the Empire, has a mission: to protect Archibald Clare, a failed, unregistered mentath. His skills of deduction are legendary, and her own sorcery is not inconsiderable. It doesn't help much that they barely tolerate each other, or that Bannon's Shield, Mikal, might just be a traitor himself. Or that the conspiracy killing registered mentaths and sorcerers alike will just as likely kill them as seduce them into treachery toward their Queen. In an alternate London where illogical magic has turned the Industrial Revolution on its head, Bannon and Clare now face hostility, treason, cannon fire, black sorcery, and the problem of reliably finding hansom cabs. The Rob and Mark Show continues, but it converges with the continuing Jack Campbell show as one of my reviews is of Campbell’s latest installment in The Lost Fleet saga. Mixing scientific facts with space exploration history, extrapolated to the Avatar universe and using the odd sprinkling of SF fiction to illustrate its points, this is a surprisingly entertaining book. Though I’m not convinced that the target readership is big enough to make this book a best seller (but what do I know? ), for fans of the film who want to look at the background behind the film using real science, this will be an interesting read. Though there is science here, and that may initially put some readers off, it is written in such an accessible way that the book rarely lectures and mainly entertains. Thirty five short chapters mean that a topic or idea rarely becomes boring. Eight pages of colour images from the production drawings of the film help readers in understanding, or perhaps just reminding, what the spaceships, machinery and characters of the film look like. Jack Campbell has been writing novels following the exploits of John “Black Jack” Geary and the Lost Fleet for well over a decade. Invincible is the second installment of the sequel series, Beyond the Frontier and the eighth novel in the sequence as a whole. With all that said, is it possible for such a well-established series to surprise readers and shuffle its well-established status quo? Campbell answers that question with a resounding yes in Invincible. What drove the story the most for me; however, was the introduction of the two new alien races. In a universe – prior to this installment – Campbell only hinted at possible aliens in the form of the mysterious ‘enigmas,’ but with the introduction of two additional alien races, the status quo has changed drastically. Perhaps readers who have been following the series through the previous seven books feel introducing these aliens may have taken too long, but the impact was still not lost on this reader. The aliens themselves, at least the manner in which they are described on one hand, seems a bit trite but on the other, the characters can only identify these alien species in comparison to creatures/animals they know and with which they are familiar. Like much of Campbell’s novel, this element danced a fine line between being hokey and believable, but in the long run, worked for me. It’s about time I did the whole preface to the Books in the Mail post, so here goes…. Some publishers are on a very predictable schedule of releases, making this blog post fairly easy to compose. For example, the fine folks at Del Rey/Spectra publish quite a few books per month, in mass market paperback, trade paperback and hardcover. Most often, they send their books about a month prior to the actual publication date. Blackwood by Gwenda Bond (Strange Chemistry, Paperback 09/04/2012) – Gwenda’s been blogging and writing about the genre for quite a while now, this is her debut novel and one of the launch titles for Strange Chemistry, the new YA imprint of Angry Robot Books, so no pressure, right? Right. The premise sounds interesting as I’ve have a bit of a fascination for the lost Roanoke colony. Miranda, a misfit girl from the island's most infamous family, and Phillips, an exiled teen criminal who hears the voices of the dead, must dodge everyone from federal agents to long-dead alchemists as they work to uncover the secrets of the new Lost Colony. The one thing they can't dodge is each other. Blackwood is a dark, witty coming of age story that combines America's oldest mystery with a thoroughly contemporary romance. Undead and Unstable (The Undead Series - Betsy #11 #10) by MaryJanice Davidson (Berkeley, Hardcover 06/05/2012) – The continuing humorous adventures of Betsy the vampire. The epic new chapter in the history of Malaz—the new epic fantasy from Steven Erikson's friend and co-creator of this extraordinary and exciting imagined world. Darujhistan, city of dreams, city of blue flames, is peaceful at last; its citizens free to return to politicking, bickering, trading and, above all, enjoying the good things in life. Yet there are those who will not allow the past to remain buried. A scholar digging in the plains stumbles across an ancient sealed vault. The merchant Humble Measure schemes to drive out the remaining Malazan invaders. And the surviving agents of a long-lost power are stirring, for they sense change and so, opportunity. While, as ever at the centre of everything, a thief in a red waistcoat and of rotund proportions walks the streets, juggling in one hand custard pastries, and in the other the fate of the city itself. Casket of Souls (Nightrunner, Book 6) by Lynn Flewelling (Bantam Mass Market 05/29/2012)– I read a couple of Flewelling’s novles, The Bone Doll’s Twin was the SFFWorld Fantasy Book Club selection back in June 2003. I’ve always meant to go back and finish reading the series, but well, that’s how things go. The Nightrunners are back in this gripping novel full of Lynn Flewelling’s trademark action, intrigue, and richly imagined characters. More than the dissolute noblemen they appear to be, Alec and Seregil are skillful spies, dedicated to serving queen and country. But when they stumble across evidence of a plot pitting Queen Phoria against Princess Klia, the two Nightrunners will find their loyalties torn as never before. Even at the best of times, the royal court at Rhíminee is a serpents’ nest of intrigue, but with the war against Plenimar going badly, treason simmers just below the surface. And that’s not all that poses a threat: A mysterious plague is spreading through the crowded streets of the city, striking young and old alike. Now, as panic mounts and the body count rises, hidden secrets emerge. And as Seregil and Alec are about to learn, conspiracies and plagues have one thing in common: The cure can be as deadly as the disease. Blackout (Newsflesh Trilogy #3) by Mira Grant (Orbit Tall Paperback 05/22/2012) – FEED blew me away and Deadline lived up to the promise laid out in the first book. This is one of my top 2 or 3 anticipated releases of 2012 so I’ve got high hopes. The Mandel Files, Volume 2 - The Nano Flower by Peter F. Hamilton. (Del Rey Trade Paperback 05/29/2012) – This brings Hamilton’s take on the psychic detective to close, with the third novel in the Greg Mandel trilogy. Peter F. Hamilton’s groundbreaking Mandel Files series concludes with The Nano Flower, a tour de force of unbridled imagination and cutting-edge scientific speculation. Greg Mandel is a psychic detective whose skills have been augmented by powerful but dangerous biotechnology. Those abilities have won him success and almost killed him many times over. Little wonder that he has settled down to the life of a gentleman farmer. But Greg’s former employer, the mighty tech company Event Horizon, needs him once more. After Royan, hacker-genius and husband to company owner Julia Evans, mysteriously vanishes, a business rival suddenly boasts an incredible new technology. Has Royan been kidnapped and forced to work for his captors, or is the truth far stranger? The answer may lie in a gift of flowers received by Julia—flowers with DNA like nothing on Earth. Greg already has his hands full with corporate killers and other unsavory characters. Is he going to have to add aliens to the list? The Greg Mandel trilogy—which also includes Mindstar Rising and A Quantum Murder, available in Volume 1—set a new standard for science fiction when it first appeared in the 1990s. The Nano Flower is every bit as gripping today—and even more timely. Lucy Derrick is a young woman of good breeding and poor finances. After the death of her beloved father, she becomes the unwanted boarder of her tyrannical uncle, fending off marriage to a local mill owner. But just as she is resigned to a life of misery, a handsome stranger—the poet and notorious rake Lord Byron—arrives at her house, stricken by what seems to be a curse, and with a cryptic message for Lucy. With England on the cusp of revolution, Lucy inexplicably finds herself awakened to a world where magic and mortals collide, and the forces of ancient nature and modern progress are at war for the soul of England . . . and the world. The key to victory may be connected to a cryptic volume whose powers of enchantment are unbounded. Now, challenged by ruthless enemies with ancient powers at their command, Lucy must harness newfound mystical skills to preserve humanity’s future. And enthralled by two exceptional men with designs on her heart, she must master her own desires to claim the destiny she deserves. Blue Remembered Earth (Poseidon’s Children #1) by Alastair Reynolds (Ace Hardcover Paperback 06/05/2012) – Reynolds is, arguably one of the top selling and most acclaimed SF writers currently publishing today. I’d be on the side of the argument that would say “Yes indeed.” This is the launch of a new series for him that is already garnering a fair amount of praise. Geoffrey Akinya wants only one thing: to be left in peace, so that he can continue his long-running studies into the elephants of the Amboseli basin. But Geoffrey’s family, who control the vast Akinya business empire, has other plans for him. After the death of his grandmother Eunice—the erstwhile space explorer and entrepreneur—something awkward has come to light on the Moon, so Geoffrey is dispatched there to ensure the family name remains untarnished. But the secrets Eunice died with are about to be revealed—secrets that could change everything...or tear this near utopia apart. With the mythic feel you’ve injected into The Lost Fleet do you see yourself ever turning your pen to fantasy or is Military SF where you’ll be spending the forseeable future? I have done a few fantasy stories. "Highland Reel" was recently accepted for the upcoming anthology Rip Off! edited by Gardner Dozois. "Mightier Than the Sword" was in the anthology Turn the Other Chick, and I've done a variety of short fiction in other magazines, especially Analog. Many of those stories have involved time travel of one sort of another, like my last story in Analog ("Betty Knox and Dictionary Jones in the Mystery of the Missing Teenage Anachronisms"). I also have a series ready to go that I call "steampunk with dragons." The Dragons of Dorcastle is SF, but with a fantasy feel in many ways. That series let me play with horse cavalry, steam locomotives, sailing ships and (yes) dragons. I just need a publisher to snap it up. One of the odd things in that respect is that I believe that readers are interested in seeing different things from a writer they enjoy, but publishers tend to want an author to keep doing the same thing that worked last time. I just need to convince a publisher that I really do know what I'm doing when it comes to writing stories. This Tuesday, I review a stunning debut and Mark takes a look at a classic reissue. The protagonist and narrator of the story is Arki (short for Arkamondos) the scribe (embedded journalist) responsible recounting Syldoon military campaign led by Captain Braylor Killcoin. Arki is a bit hesitant about joining a military campaign, though he does wish to see more of the world. 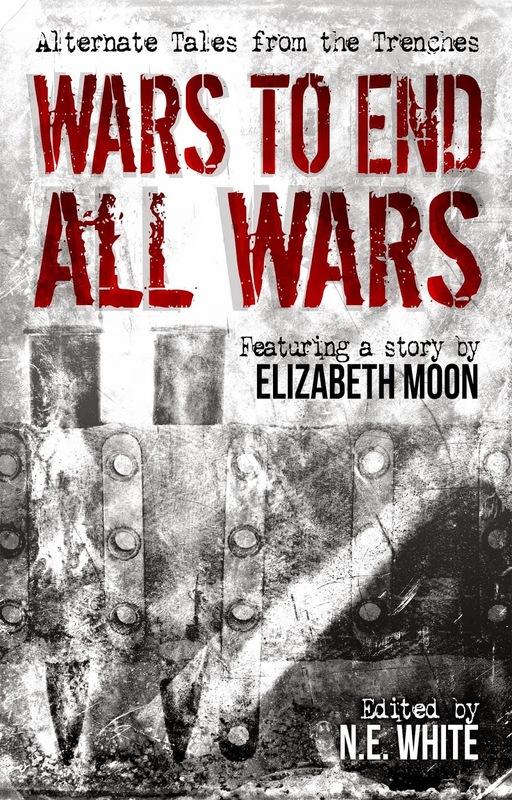 As the story progresses, the reader learns more about the Syldoons, Braylor and the realities of how much orders are followed when a military troop is a far distance from those superiors – in this case the Emperor – who issued the orders. The plot is fairly linear as Braylor and his men journey across the land sowing discord and getting in and out of trouble with other lawmakers of the land. Salyards doesn’t offer up very much information about the world in which the novel takes place, but I found this to be very effective. With Arki providing the first person narration of the novel, why would he transcribe in great detail the history and culture of a world which the audience of his war notes would already know? Some may consider this a cheat for a new fantasy writer, but from my perspective, this allows the weight of Arki’s words, experience, and most importantly, his interaction with Captain Killcoin have the necessary weight of the narrative. Odd John is a tale of a ‘superman’: John Wainwright, an Englishman who claims to be the forerunner of a new species, homo superior. Told by his friend and butler-type, nicknamed Fido, it is the tale of how John grew up, became an adult and ultimately the consequences of his superior status. The tone of the book is one of superiority and condescension and this is shown by an uncomfortably sneering tone throughout. Nevertheless, John has a tale to tell, and despite being an unsympathetic host recounts his past and his present views on the world. Though John has clear views on the world, it is also apparent that his views are flawed. His thinking on religion is basically that it has no place in the world, and his relationship with his mother is quite shocking to human morals even today. It is clear that John operates on different rules to the majority of the human race. An eclectic mix of books arrived this week, some debut authors, some familiar names, some familiar publishers and a couple from a new Northwestern publisher. 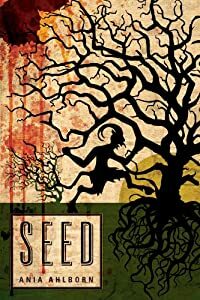 Seed by Ania Ahlborn (47 North Trade Paperback / eBook 07/07/2012) – Another reissue for the folks at 47North, this time of a previously self-published Horror novel. Spellcrossed by Barbara Ashford (DAW Mass Market Paperback 06/05/2012) –Sequel to Ashford’s debut novel Spellcast, which mixes magic and theater. But that's what allowed Maggie Graham to take the first step toward her new life as the executive director of the Crossroads Theatre. As a hectic new season of summer stock begins, Maggie has to balance the demands of her interfering board president and the needs of a company of actors that includes bewildered amateurs, disdainful professionals, a horde of children, and an arthritic dog. While Maggie yearns to give her cast members the kind of healing she found at the Crossroads, she recognizes that magic must take a back seat to ticket sales - and Rowan Mackenzie must be consigned to the past. Unnatural Issue is the seventh book in the Elemental Masters series. It will feature Lord Peter Almsley, from The Serpent's Shadow. Richard Whitestone is an Elemental Earth Master. Blaming himself for the death of his beloved wife during childbirth, he has sworn never to set eyes on his daughter, Susanne. But when he finally sees her, a dark plan takes shape in his twisted mind- to use his daughter's body to bring back the spirit of his long-dead wife. Railsea by China Miéville (Del Rey, Hardcover 04/15/2012) – Miéville’s first Young Adult novel since the terrific Un Lun Dun . The giant mole bursting from the earth, the harpoonists targeting their prey, the battle resulting in one’s death and the other’s glory are extraordinary. But no matter how spectacular it is, travelling the endless rails of the railsea, Sham can't shake the sense that there is more to life. Even if his philosophy-seeking captain can think only of the hunt for the ivory-coloured mole she’s been chasing – ever since it took her arm all those years ago. When they come across a wrecked train, at first it's a welcome distraction. But the impossible salvage Sham finds in the derelict leads to considerably more than he'd bargained for. Soon he's hunted on all sides: by pirates, trainsfolk, monsters and salvage-scrabblers. And it might not be just Sham's life that's about to change. It could be the whole of the railsea. Dopplegangster (Esther Diamond #1) by Laura Resnick (DAW, Mass Market Paperback 06/05/2012) –This is a reissue of the first novel Resnick’s popular Urban Fantasy, which was previously issued with another publisher. I'm not a heroine--I just play one. Along with psychotics, vamps, housewives and hookers. As my agent is fond of pointing out, there are more actors in New York than there are people in most other cities. Translation: beggars can't be choosers. This explains how I wound up prancing around stage half naked the night Golly Gee--the female lead in the off-Broadway show "Sorceror!" --disappeared into thin air. Literally. Now other performers are also vanishing, and a mysterious stranger is warning me: There is evil among us. But the producers want me to take over Golly's part. Scourge of the Betrayer (Bloodsounder’s Arc Book One) by Jeff Salyards (Night Shade Books Hardcover 5/01/2012) – I’ve already seen some very positive things about Jeff’s debut, including favorable comparisons to Joe Abercrombie and Glen Cook. My review for the book goes up Sunday and the short of it is that I was VERY impressed. Many tales are told of the Syldoon Empire and its fearsome soldiers, who are known throughout the world for their treachery and atrocities. Some say that the Syldoon eat virgins and babies-or perhaps their own mothers. Arkamondos, a bookish young scribe, suspects that the Syldoon's dire reputation may have grown in the retelling, but he's about to find out for himself. Hired to chronicle the exploits of a band of rugged Syldoon warriors, Arki finds himself both frightened and fascinated by the men's enigmatic leader, Captain Braylar Killcoin. A secretive, mercurial figure haunted by the memories of those he's killed with his deadly flail, Braylar has already disposed of at least one impertinent scribe . . . and Arki might be next. Archiving the mundane doings of millers and merchants was tedious, but at least it was safe. As Arki heads off on a mysterious mission into parts unknown, in the company of the coarse, bloody-minded Syldoon, he is promised a chance to finally record an historic adventure well worth the telling, but first he must survive the experience! A gripping military fantasy in the tradition of Glen Cook, Scourge of the Betrayer explores the brutal politics of Empire-and the searing impact of violence and dark magic on a man's soul. When I initially reviewed Lost Fleet: Dauntless, I pondered the name switch. What made you adopt Jack Campbell as your pen name, aside from the AI software overlords who control book selling and distribution? (I thought perhaps homage to Joseph Campbell since your stories focus on a Heroic Ideal, while commenters suggested legendary editor John Campbell). I do admire both Joseph Campbell and John Campbell, but the source of Jack Campbell was a bit closer to home. Part of my ancestry is Scottish, specifically Campbell, so that's where the last name came from. I knew it would resonate in the field as well having a family connection. Jack is the name of my father and the name of my eldest son, so that's a dual tribute. I don't mind at all the implied tributes to Joseph Campbell and John W. Campbell which are a bonus of sorts. But the name Jack Campbell comes mostly from my own ancestry and family, which I guess is sort of appropriate given the importance of ancestors to the people in The Lost Fleet. The theme of this week’s reviews is catch-up and your reviewers are Mark and me. Like Graceling before it, Fire is the tale of a young girl, the titular Fire, who is a Graceling: that is, someone who has been born with a special power that enhances the typical capability of a normal human being. Fire’s skill (shown by her rainbow-coloured hair) is the ability to manipulate other people’s thoughts and persuade them to do their bidding. (In another galaxy, some would call it a Jedi-mind-trick.) Living in the Dells, she is initially quite reticent to use such skills, especially against her friends and those who protect her. It also doesn’t help that, as a consequence of her Grace, others are desperate to give her their attention. She has a relationship with her life-long friend Archer, who is fiercely protective of her. What impressed me more this time was that although we have clear heroes and villains in Fire, the outcomes are less predictable here. We see a much bigger view of the world first seen in Graceling, and the importance of ‘monsters’, as mutant creatures who love a bit of human flesh is developed nicely. Whereas Graceling mentioned these monsters on the other side of the world it was mainly focused on the effect of the Grace on Katsa and those affected by her, here we see a wider picture of their world as Fire deals with a harsher environment and the political and social machinations that such a society has. There’s also a lot more sexual content here, though not explicit. The Norse gods are real, and they are preparing for Ragnarok in the 21st Century by enlisting ex-soldiers into their army through the Valhalla project. … The Age of Odin, by British author James Lovegrove, takes this idea and runs with it full tilt. When Gideon “Gid” Dixon, a retired soldier who realizes the only thing in his life which gave him happiness and success was fighting, is enticed by the aforementioned Valhalla project, he cannot pass up the opportunity to join. Gid has a hard time believing the big man in charge of the Valhalla project is actually the Allfather of Norse Myth, Odin. Odin is preparing for the fated final battle, and as Gid joins Odin’s forces, he brawls with and fights alongside Thor, becomes enamored with Freya, is healed by Odin’s wife Frigga and learns of the treacherous deeds of Loki. The villain of the piece is, of course, Loki. This should be no surprise as Loki, the trickster and half-brother of Thor, is often cast as the villain in Norse-infused stories, especially those published by Marvel Comics. 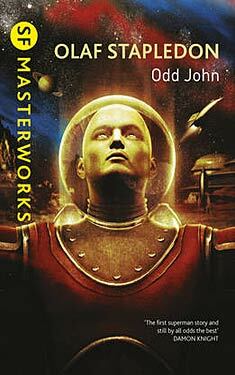 I also really liked Lovegrove’s characterization of Odin, who at times was quite distant from the action.